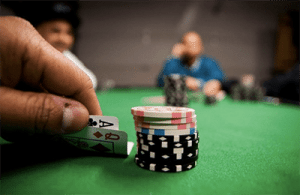 Gambling with friends is always a fun experience, but we can easily get carried away and make avoidable mistakes. These mistakes are often cheered on by our friends, which is why we prefer to play online where we can concentrate. We have compiled a list of dumb tips we’ve all heard our friends give when gambling. While we’ve all thought about this horrendous activity, we know deep down it isn’t a viable option. Our friends have told us plenty of times before to bet more after we’ve had a big loss so we win our it back. This is the dumbest gambling tip a friend can give as you can end up losing even more. The worst is when your friends say they will spot you the cash to win it back, and you end up losing it and owing them money too. Avoid chasing your losses – know when enough is enough and head home. Friends can be bad influences and often get over-excited about a trip to the casino. They can advise you to bring all your cash – perhaps saying it is going to be a big one – but we recommend creating a bankroll. If you manage your funds you will have a better night, especially if you do end up losing. If you lose your entire pay in one night, we doubt you will want, or afford, to go out with that group of friends again. When we are with our mates, we can be easily tempted to jump in shouts or try to keep on par with their drinking. However, gambling intoxicated has to be the biggest mistake you can make. When we are drunk we tend to make riskier moves, including wagering larger amounts, placing the wrong bets, and more. 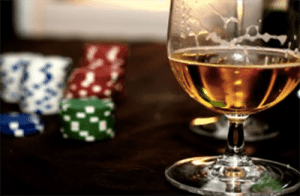 You can read more about alcohol impacts gambling habits. If you’re feeling even a little bit tipsy and your mate recommends grabbing another drink it might be best to turn them down and take a break. Friends can egg you on to make bigger risks than you planned for. It’s always important to be on the ball and ensure you make measured bets, rather than big wagers which you can ultimately lose. And you will be going home if you don’t win them. Our friends can all have their own agendas – some may want to get in to the land-based casinos and rush to the tables, others may want to play the pokies, and the rest could just want to grab a drink and socialise. This can mean many will not want to wait around while you sign up to the loyalty club and you’ll hear them say it’s a waste of time. This has to be one of the dumbest tips a friend can give you since joining a casino’s loyalty club can mean big rewards. Every time you play a game and swipe your card you will earn points and be rewarded with food vouchers, drink vouchers, and. if you’re a big spender, accommodation or other luxury freebies. 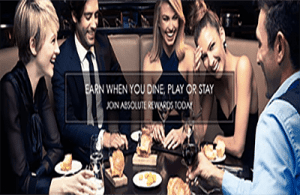 Even if you are just visiting the casino on a one-off we always recommend signing up to the loyalty club, regardless of what your friends say. Sitting at the pokies and putting a few dollars in with friends can be fun – until it’s clear they think you should play until all the money is gone. People can get carried away when it comes to gambling, especially if it isn’t their own money where they have to stop and think. As such, it can result in friends, who are sitting with you at the pokies, egging you on. We’ve been told to keep playing instead of cashing out when we were a little ahead, but if you look at the RTP of land-based pokies – generally around 90% in land-based casinos – it is incredibly smart to cash out. In the end, if it is your money in the pokies you should do what you think is right, not what your friend thinks is right. Some friends can get a bit cocky if they’ve gambled once or twice at the casino. They can come off as if they know everything about the land-based gambling establishment – when in fact they don’t. This includes when it comes to table games and their variations. While friends may tell you the game is the same even though the name is slightly different, it is always important to look into the rules in case it does indeed have a new set of guidelines. For example, Melbourne Crown offers blackjack tables as well as Blackjack Plus and we’ve had friends who have tried to tell us Blackjack Plus is the exact same game as the standard title. In actual fact, the variant has a huge high house edge in comparison to the traditional versions and playing it would be quite detrimental to the bankroll. If you’ve come a long way, or don’t get to the casino as much it can be appealing to game all night. Many friends will remind you of this, but it is incredibly important to have breaks. Rest allows you to concentrate and enjoy the games – so even if your friends are telling you to keep playing, if you need a break have one. Friends may have systems, strategies, or even superstitions which they believe work for them. 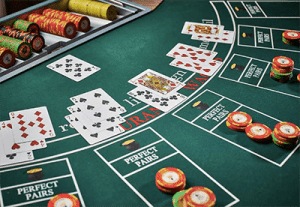 Even if they do work in that instance, it doesn’t mean it will work for you – especially if the game is based on luck, such as the pokies or roulette are. 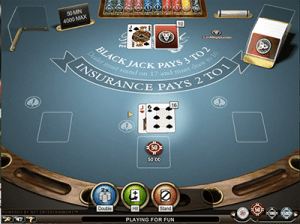 Luck-based games cannot be improved by using a system – and while skill-based games such as blackjack can be improved with the basic strategy, it is best to learn it yourself rather than following your friends lead. Your friends may tell you gambling online is’t fun or social but you can improve your chances for luck-based games by opting to play online – the house edge is lower – or you can play 21 online and have the basic strategy open in a separate tab if you want to start learning it. What’s more live dealer casino games are available to create a social atmosphere. You can even play online casino games on your Smart TV these days. Why are the pokies so popular? If you’re looking for a safe online casino site, we recommend Raging Bull Casino, our top-rated casino site for players from United States which allows the option of free play so you can play with no risk to your pocket to get a hang of things before playing for real money bets.